Heat grill pan over medium-high heat. Drizzle oil into pan, then add chiles. Cover; cook 5 minutes, turning occasionally, until softened. Cut top off each chile; place chiles in blender. Add vinegar, garlic and salt. Cover; blend on high speed until pureed. Store sauce tightly covered in jars or resealable containers in refrigerator up to 2 weeks. Looking for a milder version of this hot sauce? Swap a red bell pepper for 4 of the Fresno chiles. 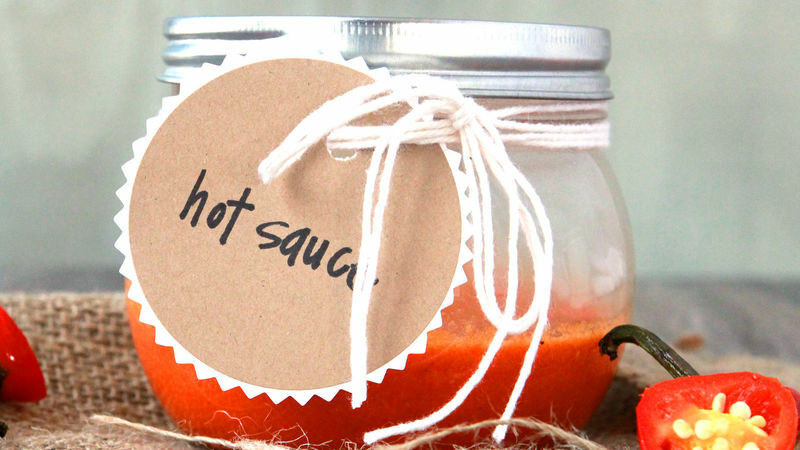 Looking for a hotter version of this hot sauce? Add 1 jalapeño and 2 serrano chiles for a tongue-singeing sauce!